There are more than a few moments in director Ryan Coogler’s superhero feature “Black Panther” when the real trials and injustices of the past converge with the fictional lives of the characters living in this superhero universe, it displays a world unlike any world portrayed in the Marvel Cinematic Universe. It’s refreshing, unexpected, and altogether necessary considering the divided world we live in today. “Black Panther” imbeds culture and tradition into every single frame of the film, displaying a Black world filled with rich environments, conflicted characters, and complicated scenarios all surrounding and socially aware of race, gender, social class, and history. T’Challa (Chadwick Boseman), the new King of Wakanda, returns home to the technologically advanced hidden African nation to oversee rule. However, T’Challa quickly realizes that rule in his country comes with obstacles, many from factions within Wakanda. The country has a material called vibranium that allows them to develop technology that far exceeds anyone else in the world. This brings two enemies into the conflict, both wanting to utilize Wakanda’s resource for their own deadly plans. Mr. Coogler, who brought back the Rocky Balboa saga with the standout “Creed”, composes a Marvel film that has all the familiar and cliché sequences one would expect in a comic book movie; fast cars, explosions, flying costumed characters with super capabilities are all on clear display. 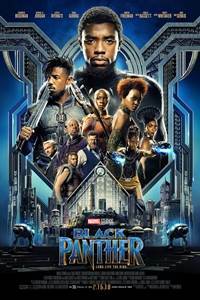 However, it also does something wholly different from most recent Marvel films; it explores the mythology of a culture that thrives with tradition and emphasizes its uniqueness in the modern world; the wardrobe, the ceremonies, the design of Wakanda all have strong visions influenced by African and African American imagery. It’s beautiful every time it’s on display. The film understands the power of gender, utilizing female characters that not only support the male hero at the forefront but form the foundation for everything that T’Challa stands for. By his side, saving his life a few times throughout the film, is General Okoye (Danai Gurira) who is a strong, tough-as-nails woman that is the definition of fearless. Ms. Gurira has an exceptional presence in the film. Making the gadgets is T’Challa’s sister Shuri (Letitia Wright), a smart young woman who knows exactly how to put her older brother in check. Ms. Wright is simply fantastic, a star turning role for the actress. Nakia (Lupita Nyong’o) is a spy who challenges T’Challa in understanding the role he has as King of Wakanda. To call her the “love interest” is a disservice to the role that she really encompasses. Nakia, played with passion by Ms. Nyong’o, is the connection to the real world, to the world that still struggles, to the people that still fight for the most basic human rights. Mr. Coogler separates his film from the Marvel Universe in another way by composing a villain that actually feels threatening, one that feels more than just another bad guy looking to destroy the world. Erik Killmonger is operating with a purpose, one that is directly connected to the past that helped in building Wakanda and completely influenced by the future that T’Challa is trying to protect. It’s great character development for Killmonger because it comes with realistic complexities such as the mistreatment of African American’s throughout history and the hope for a future where oppression will finally be challenged. This is the best composed Marvel film villain in some time. Michael B. Jordan exudes confidence and has an intensity that shines when his character comes face to face with the Black Panther. Assisting Mr. Jordan’s character is another steady performance from Andy Serkis who is having all kinds of fun chewing the scenery as Ulysses Klaue. Race is of great significance in this film. It’s the pivotal narrative element that separates “Black Panther” from the other Marvel films because it is handled in such a multifaceted manner. 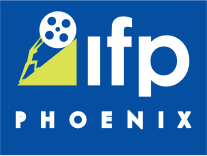 We are provided a film that understands the affect of the past, how history has treated a people in unfair and unjust ways, and how the abuse of power has threatened an entire cultural way of life. That alone makes any film thrive with a quality that resonates far beyond the barriers of any genre, the fact that a superhero film embodies this element on a mainstream platform is a wonderful, and important, achievement.